The actor known as Divine was born Harris Glenn Milstead on October 19, 1945 in Towson, Maryland, a suburb of Baltimore to father Harris Bernard and mother Diana Frances. This would be his 60th birthday in 2005! At the age of 12, the Milsteads moved to Lutherville, another nearby district, just six houses from a boy the same age named John Waters. Years later, John and Glenn would thrive off each other's talents to acheive notoriety and eventually fame. Glenn was a fat boy, always being picked on by the other boys at school for being plump and effeminate. In high school, his interests fell around horticulture, cosmetology and of course, acting. He worked for five or six years as a hairdresser, eventually running his own salon, a gift from his generous, lenient and naive parents. Generous because of all the gifts he received over the years, lenient because of the lack of punishment he received after destroying their gifts and sqauandering the family's money, and naive because it would be many years into his career as an actor before they realised exactly what was going on. Their relationship with Glenn broke down over the years, to the point where the Milsteads fled to Florida. But towards the end of Glenn's life, after he'd become world-reknown as Divine, he and his parents patched things up a bit. Around 1966, Glenn was cast in his first Waters film, being remodeled by John and his makeup artist, Van Smith, into the horror show that would forever be known as Divine. Through Waters' films, Divine became synonymous with vile, repulsive acts with an attitude to match. But throughout his career, he longed for a way out of that mask, wig and dress, and in fact, did play a few roles out of drag. 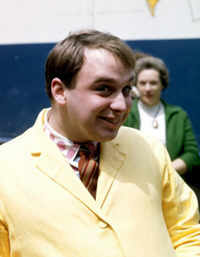 Not only did he act, but through somewhat coincidental circumstances, Divine had a brief career as a disco recording star and club attraction. The first of these records were made with sleazy New York producer Bobby Orlando, famous for producing Pet Shop Boys' first flops. After Orlando, Divine worked with the Stock-Aitken-Waterman team who's roster included Kylie Minogue and Dead or Alive. Due to his weight, Divine had a plethora of problems with his body including a sleeping disorder termed sleep apnoea in which chronic violent snoring results in memory loss, mood swings, heart attacks and strokes. His weight, among other problems, led him through cycles of depression. He was also reportedly addicted to marijuana, passing out where he sat, exhausted from pot and chronic insomnia. At age 42, he was just about to branch into television when he met his demise in Southern California. He'd broken his habit of pot smoking, been widely praised by fans and the press for his role as Edna Turnblad in John Waters' Hairspray, and was finally going to play a role out of drag on network television. 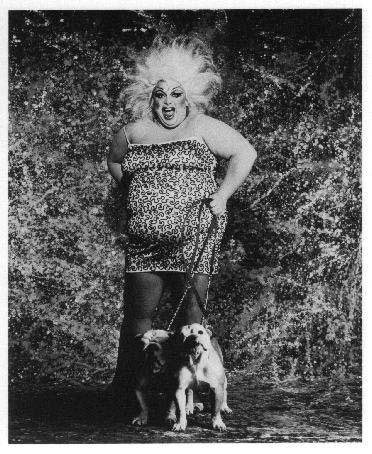 The Fox program, Married With Children, had booked Divine to play Bundy relative, Uncle Otto - a character Fox hoped would become a regular. He did not show up on the set. His personal manager, Bernard Jay, discovered him dead in his hotel suite - Mr. Jay swears Divine died of happiness, a state he finally acheived the morning of March 7, 1988. Pick up the recently released My Son Divine, written by his mother Frances Milstead with Kevin Heffernan and Steve Yeager (director of Divine Trash). It's a large format paperback rich with photos throughout. In the middle is a special color photo section with tons of great shots of the late actor, including John's first time out in drag as Liz Taylor! And the most complete discography I've ever seen. Published in 2001 by Alyson Publications, Los Angeles, CA. If you'd like to read more about Divine, check out the wonderful biography, Not Simply Divine, written by his personal manager, Bernard Jay, published in 1993 by Fireside/Simon & Schuster Inc., New York. Exclusive photos by Mike Morton of Divine's 80's club performances. Go to Divine on Stage and Screen. Visit Divine's gravesite at Prospect Hill. From the horses mouth, an excerpt from Interview magazine, February 1988. Check out the infamous curbside spot where Divine made cinematic history. © 2006 Jeff Jackson. Can you spare a buck? Help me!